Everyone has those nights when you get home from a long day and realize you have nothing to eat for dinner. Tonight was one of those nights at my house! 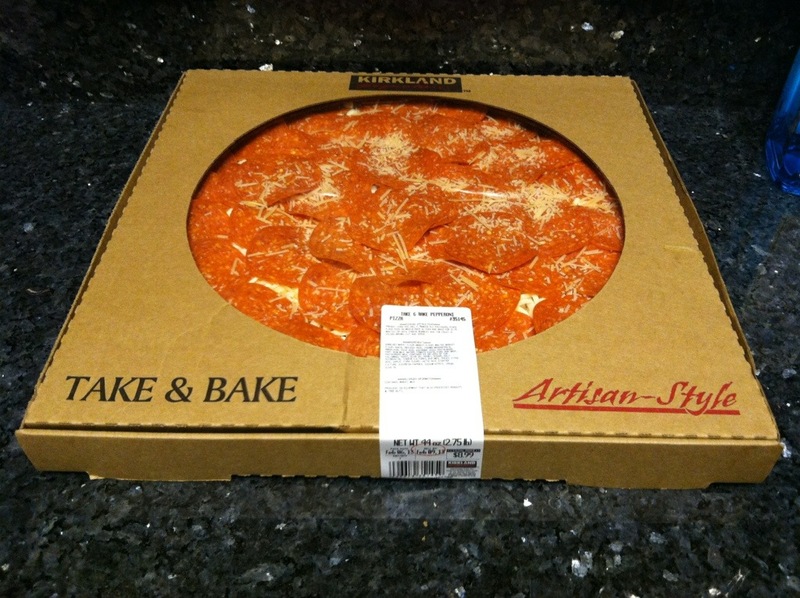 My frugal and tasty solution was a take-n-bake pizza, they are on sale at Costco for $5.99 for the rest of February. You are probably thinking this isn’t anything new. 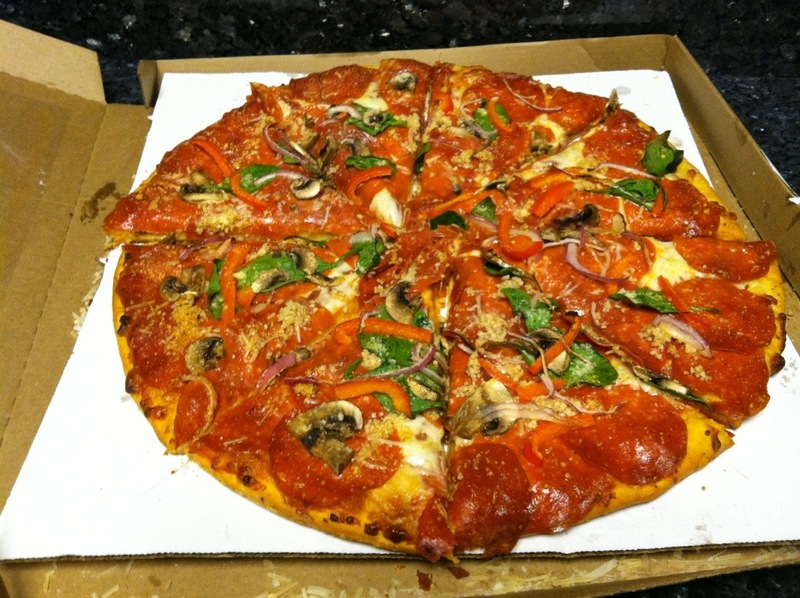 I agree, the idea isn’t new, but have you ever considered revamping your take-n-bake pizza? I simply added my favorite toppings to the pizza before baking. Tonight I added mushrooms, onion, bell pepper, garlic, and spinach. In a pinch, this is a fast, frugal, and fabulous dinner! How would you makeover a take and bake pizza?